What was most unusual about their live outing of Captive of The Sun however was an unexpected cameo from prolific Texas rapper Bun B, whose fluid verse worked a lot better than you’d expect. “It all has to do with Nardwuar!” Savage cryptically exclaims, when I ask him how the collaboration came about. “Just look up that interview, and the rest of the story becomes evident.” I do – and not only do I learn that Nardwuar the Human Serviette (aka 49-year-old Canadian interviewer John Ruskin) is a very, very eccentric bloke, but he’s also a very generous soul who enthusiastically gifts a signed copy of Bun B’s album Trill to Austin Brown (co-vocalist and guitarist in Parquet Courts), thus planting the seeds of this future alliance. In the minds of some, Parquet Courts remain the energetic new kids on the block, as found on 2012’s breakout album Light Up Gold. But the truth is, the band thrive on experimentation and progression, just as much as the angst-ridden punk spirit of their beginnings. “It [improvisation] keeps us on our toes,” states Savage at one point. 2014’s Content Nausea (the band’s second album that year_, for example, was released as their pseudo side-project Parkay Quarts (just because) and has an altogether wonkier feel, all clattering, jittery and unrestricted, whilst 2015’s predominantly instrumental, wildly psychedelic Monastic Living EP is regarded by some as ‘unlistenable’. 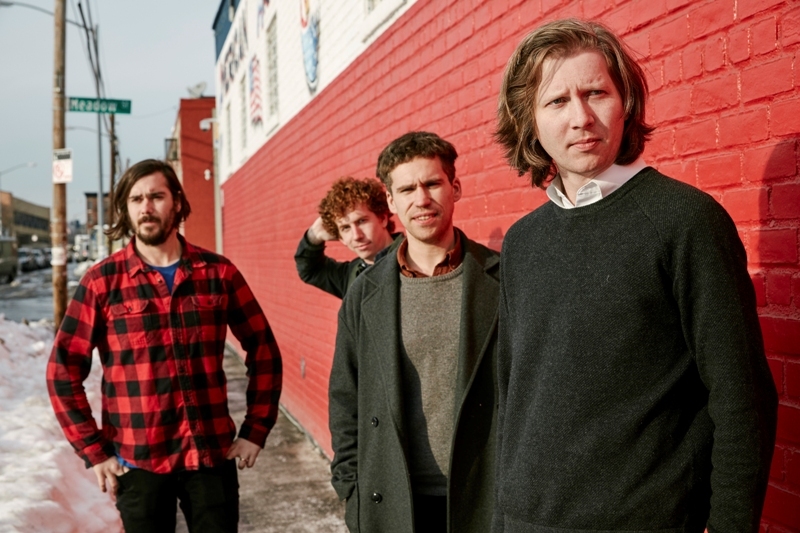 So what next for the inimitable and ever-evolving Parquet Courts? “We are all getting ready to record a new record after you see us in Newcastle,” Savage explains. The band will play in Newcastlen for the first time ever on Tuesday 29th August in the wonderful space of Wylam Brewery, and Savage attempts sheds light on his favourite ‘English’ beers. “First time in Newcastle, very much looking forward to it. Venom have been quite the ambassadors for your Brown Ale. I enjoy drinking beer, I don’t know if I even attach national identity to the beer I drink. It’s all owned by international conglomerates for the most part. I find myself drinking Carling (not technically English) and 1664 (not English I know). But these are the beers I associate with being on your magical island. Sorry.” God loves a trier. Parquet Courts play Wylam Brewery on Tuesday 29th August. Human Performance is out now on Rough Trade Records.